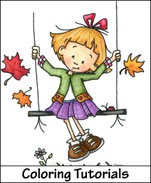 Sassy Cheryl's Digi Stamps Challenge Blog: Challenge 97 - Let It Snow with a SKETCH! Hi everyone! Welcome to a new week with the sassy gals. We appreciate all of you that played along with us in Sassy Ann's "New" challenge. Lots of pretty entries again this week. Before we get to the details of this week's challenge, let's congratulate one lucky person.... and that lucky person is Linda C who was chosen randomly from all of our entries in the challenge. 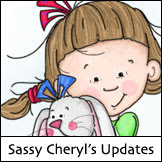 Linda just email Sassy Cheryl to get your $5 voucher to Sassy Cheryl's shop and enjoy your new digis. The sassy gals have been looking forward to some snow.... imagine that?! ?﻿ It's always sooo nice to look at, but then horrid to go out into. Right? Well, it's because our challenge this week includes snow along with this sketch created by our sassy hostess, Dawn (Sassy Dawn loves sketches - have you noticed?). And, using this sketch, here's what Sassy Dawn and the rest of the sassy team have created as a bit of inspiration to jump-start the challenge. We think you will like them! Come and join us in our challenge this week.. we'd love to see your creation. The rules for our challenge are all very simple. 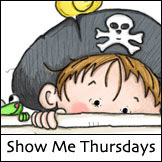 Follow the theme for this week, post to your gallery or blog, link it up here (no backlinking, please). 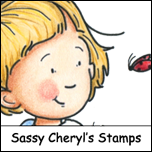 You can use any image, but we should do love it when you use an image from Sassy Cheryl's shop. The sassy gals will come by to see your creation and leave a little sassiness. Most importantly, have fun! No snow for me. . . .but I'll take these snowy creations ANY TIME! WOW, girls. Another amazing batch of beautiful cards. And congrats to my sweet friend Linda C. . . .on the win of the $5 GC. I'll get that credited your account this morning so you can do some shopping. Can't wait to see what everyone creates this week. Awesome creations ladies. I love a sketch and just wish I already had those dies from Memory Box now that I see what the challenge is. DRATS! Insert Dancing Banana here! YAY looks like FUN! I can't wait to play this week! I have a new snowflake die that I am DYING to use!!! Congrats to Linda C on the win for last week! Have fun shopping. Thanks to everyone who played along in this weeks challenge. Cards are amazing!